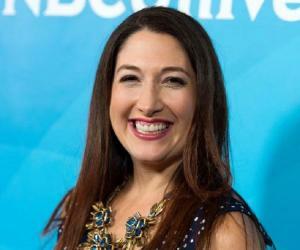 Randi Zuckerberg is an American businesswoman. This biography profiles her childhood, life, career, achievements and some fun facts. 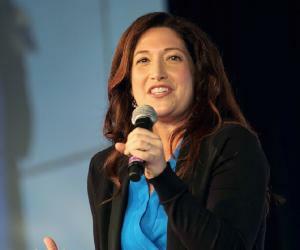 Randi Zuckerberg is an American businesswoman and founder and CEO of Zuckerberg Media. She earlier worked with Facebook as the Director of Market Development and a spokeswoman. The elder sister of Facebook founder, Mark Zuckerberg, Randi is an entrepreneur herself. Apart from Zuckerberg media, she is also the Editor-In-Chief of Dot Complicated, and produced shows for Cirque du Soleil, Clinton Global Initiative, Bravo and BeachMint. A mother of two, Randi manages to balance her work and family life effortlessly. In addition to being an inspiration to working women everywhere, Randi is also a known writer. She has also lent her voice to a few animated characters. She has spoken against the anonymity of Facebook users and the need to protect internet users from being victims of cyber bullying. She has urged Facebook users several times to interact with one another personally and not be limited by the technology and wired lives. Her professional endeavors primarily focus on technology. Randi Jayne Zuckerberg was born on February 28, 1982 in New York in Westchester County, to Karen Kempner and Edward Zuckerberg, who run a dental business. Randi is the eldest of four siblings - Mark, Arielle, and Donna Zuckerberg. 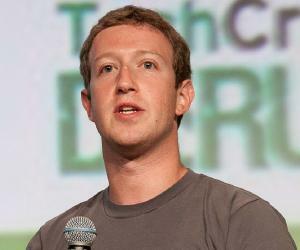 The Zuckerberg family still owns their old family home in Dobbs Ferry, New York. At the insistence of her mother who is a psychiatrist, Randi chose Psychology as her major. She also studied Hebrew and music in college. Fascinated by music and theatre, Randi wanted to be a Broadway actress. In 2003, she graduated from Harvard University with a degree in Psychology. Before working for Facebook, Randi worked for two years with Ogilvy and Mather Advertising. She credits this job to giving her the experience to establish strong foothold at Facebook. Randi was the Director of Market Development at Facebook. In 2011, she resigned from her position at Facebook and announced her company. In 2008, during the Presidential Election, Randi was a correspondent and organizer for the ABC News and Facebook’s Democratic Party and Republican Party U.S. Presidential primaries debate. 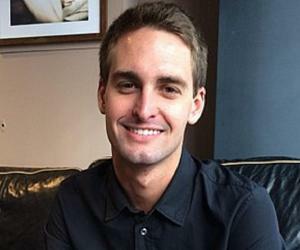 She has also worked with the United Nations Global Entrepreneurs Council. She was also appointed to the US Broadcasting Board of Governors’ Commission on Innovation. She is also the author of Spark Your Career in Advertising. She has released two books Dot Complicated, an adult non-fiction book and Dot, a children’s picture book with HarperCollins. She was a New York Times bestselling author of for her non-fiction and children’s books. Randi was a panelist on the financial show – Forbes on Fox, which aired on Fox News. She recently voiced a character named Ms. Randi in the cartoon adaptation of Dot. Randi served as the Director of Market Development at one of the biggest social media companies - Facebook. She worked as a correspondent during the 2008 Presidential election and also organized the Presidential debates. She was also a part of the 7-hour long television coverage of the same. She wrote a picture book titled ‘Dot’ for children. The main purpose behind creating it was to empower girls. By introducing the main character as a techno-savvy girl, Randi aims to increase the number of girls in the technical world. She has often spoken for the growth of women in technical fields. During her interview with Clarity, she donated all the proceeds of the call to charitable organizations of her liking. She has spoken openly for the necessity of employing people with a diverse skill set instead of a fixed once. She has also said that the technology is growing at a rate lot faster than the skills of people. Randi has spoken against the anonymity for Facebook users and also against cyber bullying targeted at children and young adults. She rRecently guest starred as Regina Koontz in the Broadway version of ‘Rock of Ages’. She covered the midterm Congressional elections in 2010 on Facebook, which established Facebook as a platform for all types of activities ranging from politics to marketing. Her work in 2010 earned her an Emmy Nomination. In the year 2008, she got married to Brent Tworetzky. She currently lives in New York City. On May 1, 2011, the couple welcomed their first child together, a son, Asher Tworetzky. They welcomed their second son, SimchaTworetzky, on October 10, 2014. She often speaks about the need to distance oneself from social media and technology. She also emphasizes the importance of finding work in a suitable and stress free atmosphere. In an interview, she also stated that the devices were built to bring us closer to the people we love, not to come between us. As of April, 2017, the estimated net worth of Randi Zuckerberg is around 100 million dollars. She likes listening to the Hamilton soundtrack while working. ’The Giving Tree’ by Shel Silverstein is her favorite book.